Oily skin can be a truly frustrating problem. From the awkward shining forehead that ruins all your photos to the constant blotting and touch ups throughout the day and even the horrible acne, oily skin is no fun at all. While everyone else is after “dewy” skin, you’d be happy just settling for a normal complexion. Well, we’re here to tell you that, with the right foundation, your skin can look better than normal. It can look clear and radiant, and all it takes is the right makeup choice. Whether you’re a fan of liquid foundations or can’t live without your powder, we’ve rounded up the best foundation for anyone with oily skin. Perfect for turning oily skin into a smooth, matte complexion, Clarins Ever Matte Oil-Free Foundation offers long-lasting protection against shine. Its unique formula includes ingredients that seal in moisture, resulting in skin that is hydrated and happy. 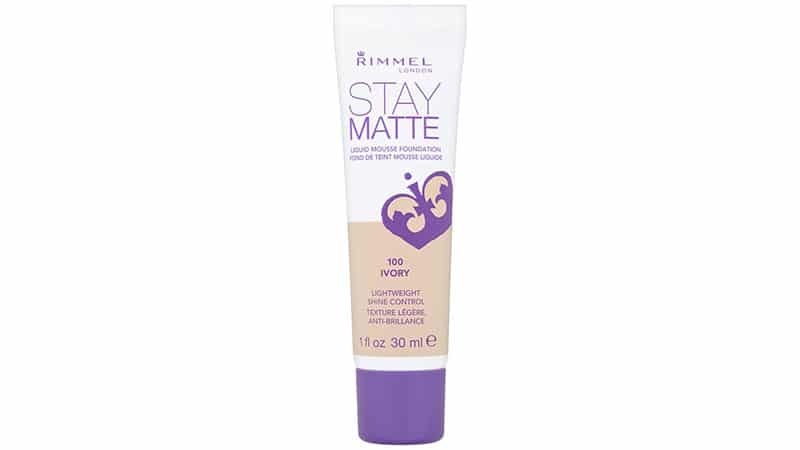 Rimmel’s Stay Matte Foundation’s powerful formula offers up to 12 hours of shine control, meaning fewer touch-ups and zero oil-blotting throughout the day. Offering great coverage at an affordable price, this matte foundation is just as good as its more expensive counterparts without the high price tag. 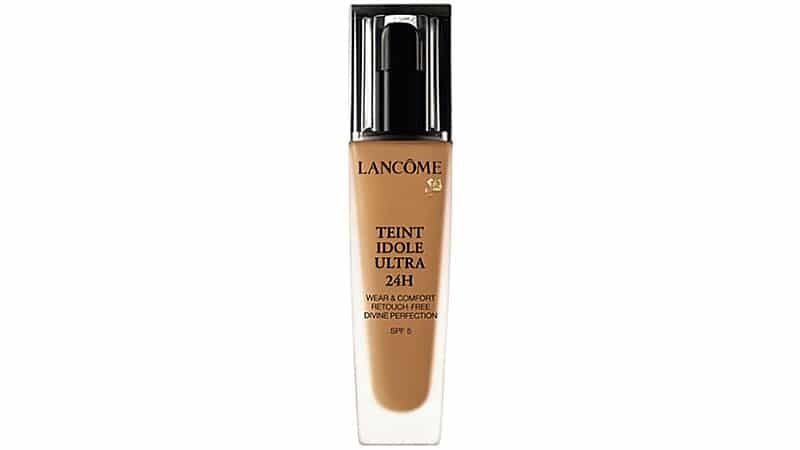 Lancome’s Teint Idole Ultra 24h Foundation has a silky smooth formula that leaves skin feeling and looking fresh and radiant. Featuring an extremely long-lasting formula with up to 24 hours of wear time, this liquid foundation leaves complexions with a smooth matte finish all day. The light liquid formula glides onto skin to reduce shine, minimise pores and cover imperfections without appearing caked or powdery. 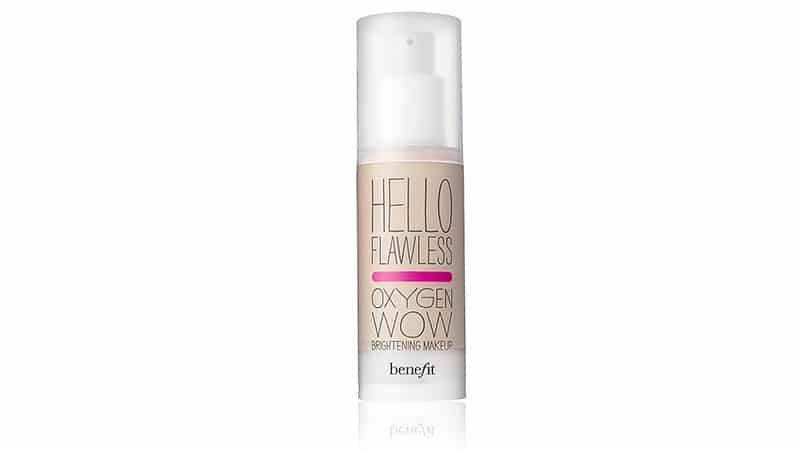 While it may not boast a 24 hour wear time, Benefit’s Hello Flawless Oxygen Wow Makeup is just as good for oily skin as Lancome’s foundation. Containing brightening properties for a luminous finish, this liquid foundation instantly creates radiant skin that is gorgeous and (most importantly) shine-free. Its oil-free formula builds from light to medium coverage for naturally clear-looking skin. 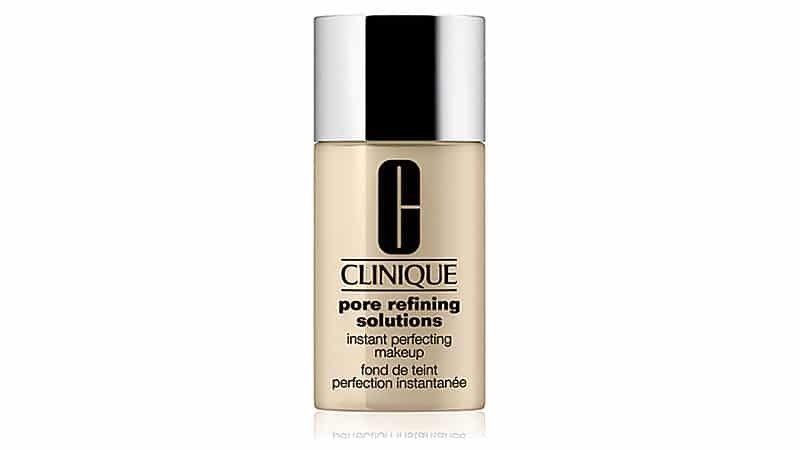 The creamy formula of Clinique’s Pore Refining Solutions Instant Perfecting Makeup contains salicylic acid, meaning that it not only hides but also fights your acne. Creating flawless, lightweight coverage, this helpful foundation will make blemishes disappear without clogging pores. 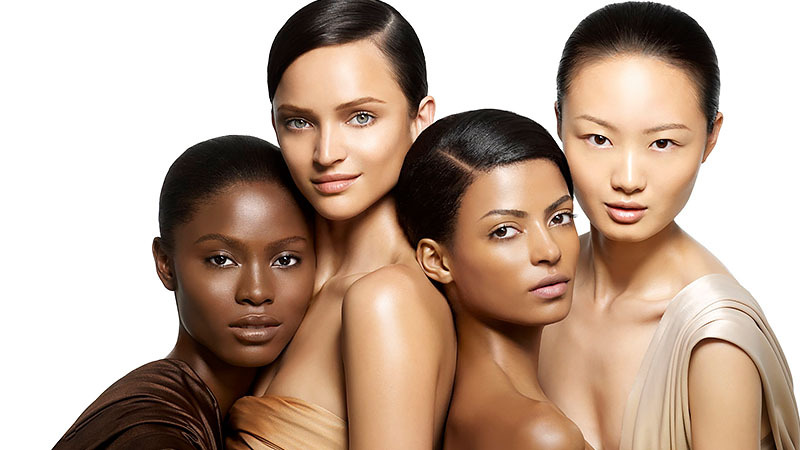 It also comes in a range of shades so that everyone can find their ideal skin tone match. 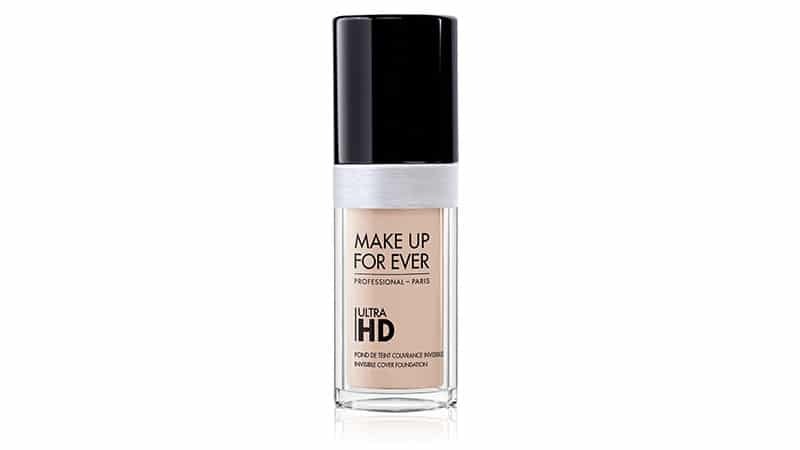 Make Up For Ever Ultra HD Liquid Foundation is one of the rare medium-to-full coverage foundations that is suitable for oily and acne-prone skin. Offering the ideal amount of hydration to soothe unbalanced skin, this foundation is kind to skin while staying tough on blemishes. One use and you’ll find that Make Up For Ever has created the ideal product for hiding pores, blemishes and fine lines without that caked feeling. 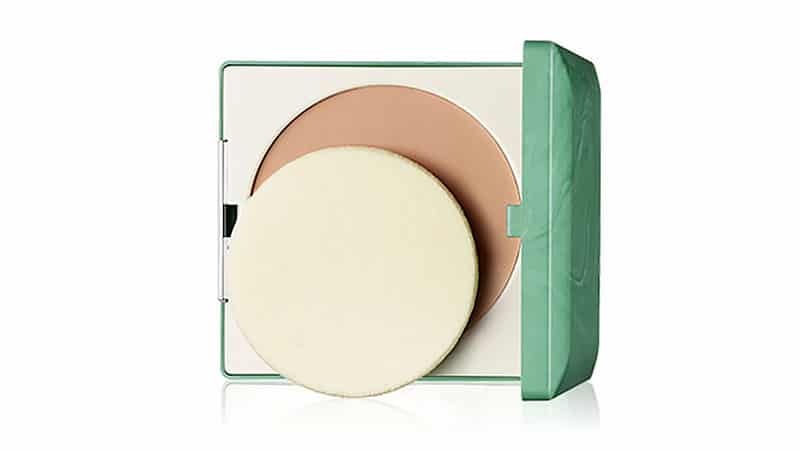 Clinique’s Stay-Matte Sheer Pressed Powder features a shine-absorbing, oil-free formula. Perfect for full coverage in the morning or to clean up excess oil throughout the day, this foundation keeps you looking fresh. The compact even comes complete with a sponge for easy application. 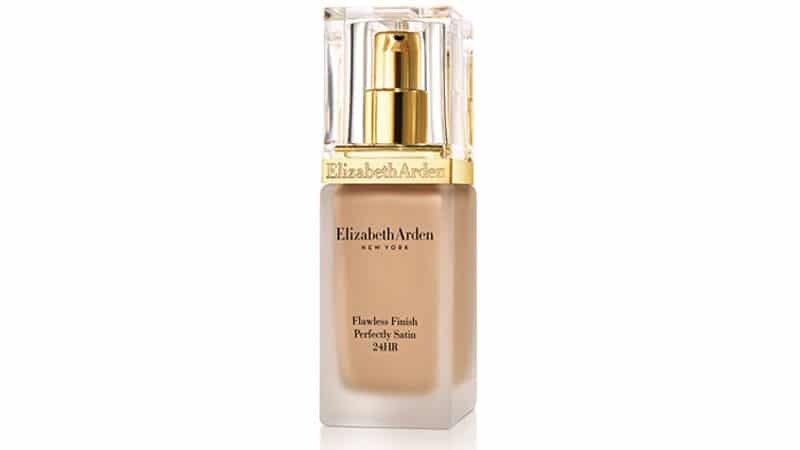 Elizabeth Arden Flawless Finish Perfectly Satin 24HR Makeup creates a flawless matte finish with total coverage. Even the smallest blemishes and shine patches will disappear and stay gone for up to 24 hours with this foundation. Transfer-resistant, humidity-resistant and featuring shine-control ingredients for soaking up excess oil, this foundation is exactly what oily skin needs on special occasions. While providing fantastic coverage, it also locks in hydration to keep skin balanced and happy. 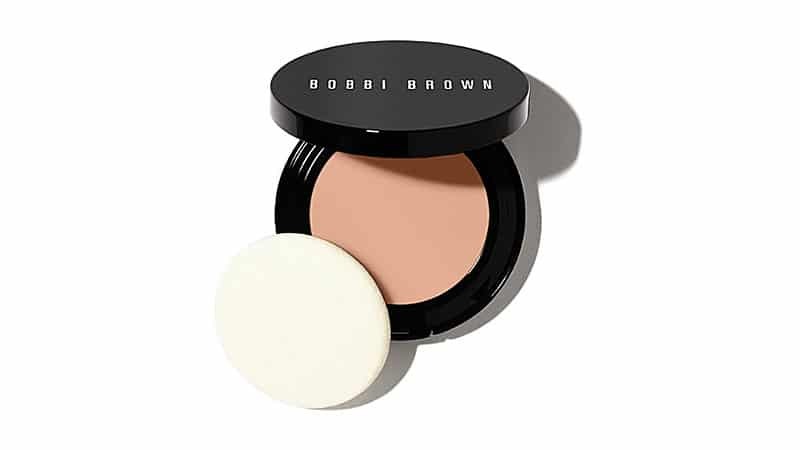 An award-winning foundation in a handy portable compact, the Bobbi Brown Long-Wear Even Finish Compact Foundation is an oily skin essential. Perfect for busy days and business trips, this foundation comes complete with its own sponge for easy application. Boasting fabulous, shine-free results, this foundation has a long-lasting, soft matte finish. It also absorbs excess oil and protects against heat and humidity through the warmest of weathers. Cleanse skin gently using soothing products with skin-friendly ingredients. Avoid harsh cleansers as they can cause the skin to over-dry and produce more oil as a result. Avoid exfoliating skin, especially with products containing abrasive ingredients like beads. Instead, gently massage skin with fingertips and pat dry afterwards. Keep skin hydrated by moisturising immediately after washing and avoiding over-drying products, such as those containing alcohol. Choose products that contain salicylic acid. The ingredient is one of the most powerful acne-fighters that’s also kind to your skin. Clean makeup brushes regularly to rid them of dirt and bacteria. Choose makeup wisely to avoid exacerbating acne and oil.